Situated in the Horn of Africa, Ethiopia is the most populated landlocked country in the world with a population of over 100 million. Ethiopia suffered a series of famines in the 1980s, but has since begun to recover. It is now the largest economy in East and Central Africa. Médecins Sans Frontières has worked in the country since 1984. MSF teams fill healthcare gaps, respond to conflict and disease emergencies, and assist with the needs of a growing refugee population. Our staff operate and support several health facilities in regional hospitals as well as at refugee entry points and in camps for internally displaced peoples (IDPs). Teams work in 10 outreach clinics in remote locations, organising vaccination campaigns, offering support rations for hunger-affected families, and setting up project sites providing medical care and water supplies. Our teams manage health posts in Buramino and Hiloweyn camps, and another team works in the health centre in Dolo Ado town, which is a referral point for refugees as well as local people. The health centre has an emergency room, maternity and paediatric units, an operating theatre and X-ray facilities, and runs nutrition and tuberculosis (TB) programs. Teams based at the local district hospital of Fik, in central Somali Region, have been involved in strengthening the provision of secondary healthcare and nutrition activities at the hospital. Staff work in the emergency room, operating theatre, maternity ward and stabilisation centre for severely malnourished children. We also donate drugs and basic medical instruments to the hospital, and support the provision of services in reproductive healthcare. Malnutrition is a common problem among the Somali pastoralists. 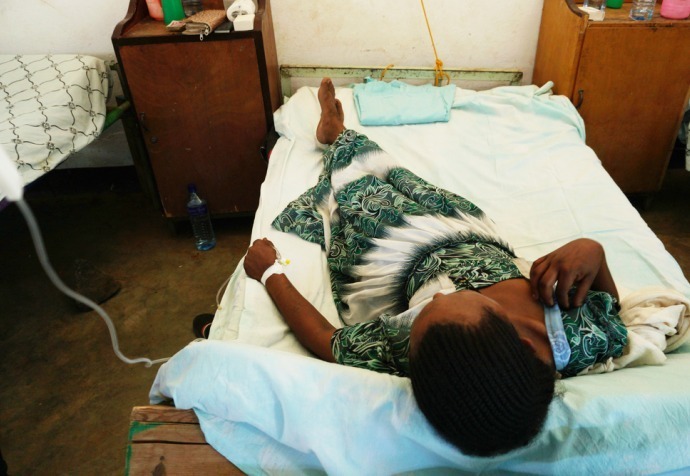 However, local beliefs regarding the causes of the problem pose serious challenges to health organisations like MSF attempting to address the disease from a medical perspective. MSF provides health education to strengthen social mobilisation within regional communities through outreach programs. Commonly, there is a reliance on traditional healers for assistance, as diseases and medical complications are believed to be caused by demons or offended gods. The programs aim to encourage locals to seek professional medical care. The dire humanitarian situation in Ethiopia is aggravated by years of drought, and renewed conflict between Oromia and Somali regions. 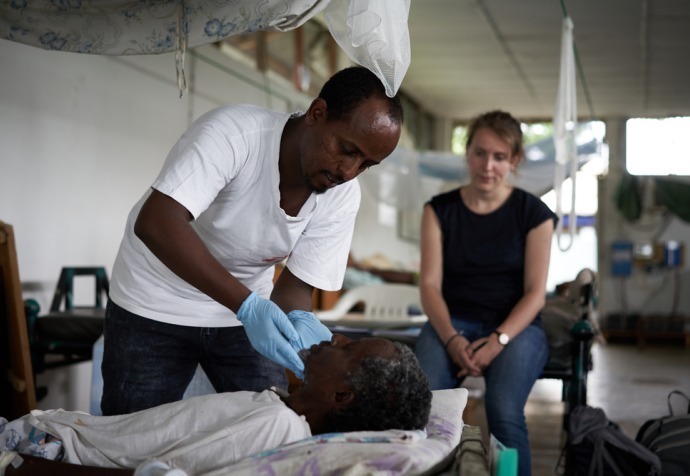 MSF provides medical care free of charge to both refugees and local communities. The available services include basic healthcare, mental health consultations, nutritional support, routine immunisation, as well as reproductive healthcare, maternal health services and treatment for sexual and gender-based violence. Malaria is endemic in several areas of Ethiopia but the Gambella region - on the border with South Sudan – has particularly high rates of the disease. In 2017 alone, nearly 90% of patients treated for the disease in Ethiopia were from Gambella. Here, MSF provides medical services to about 800,000 people, half of whom are South Sudanese refugees living in various camps across the region. The Ethiopian government expelled MSF France from the country in 1985 following public denouncement of the government’s refusal to open a therapeutic feeding centre, as well as its misuse of international aid for forced population transfers. MSF’s decision to publicly speak out against forced resettlements was criticised by other aid actors. Since then, MSF has released a detailed case study acknowledging the complexity of the situation faced by MSF teams, and justifying the decision to speak out. The report seeks to help future humanitarians address similar dilemmas.